Parking is located in the rear of the building with access from Rush Street which is an alley on the side. We can accommodate special events in our Union Room. 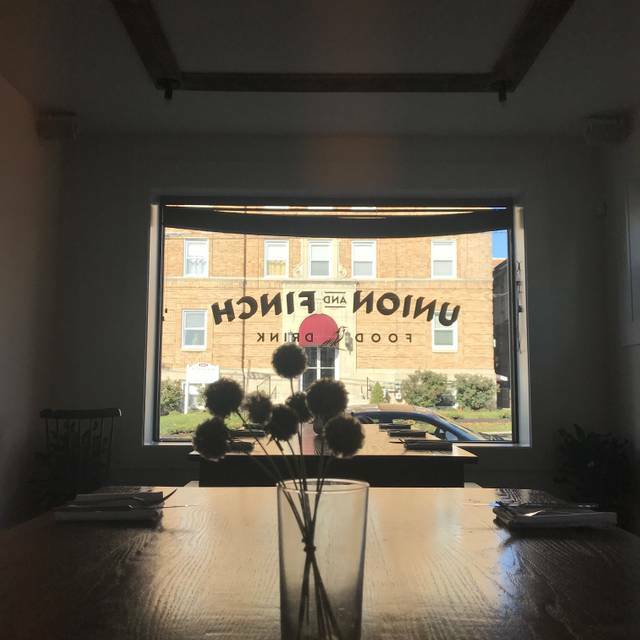 Union & Finch is an American style bistro located at 1528 West Union Street in Allentown offering lunch, dinner and brunch on weekends. The menu consists of casual fare that will include "comfort" foods along with familiar favorites with a twist. We have a seasonal rotation of select items on the menu while keeping our concept simple. Our goal is to offer quality food and drinks at reasonable prices on a daily basis with a mature sense of hospitality and playful vibe. We combine the nostalgia of a long-lost neighborhood joint with a modern bistro setting to create the area’s newest destination for relaxed, casual dining. Love this place. Went for the Sunday Brunch and recommend it highly. Service was great, very attentive to the customers! Wish they would figure out the noise level in the dining room. Maybe add a few sound absorption panels. But overall definitely a keepers! Restaurant is good. Creative menu items for brunch. NOT particularly healthy options. Lots of sweets. Always fantastic there. Our server Leslie is always awesome. One of my favorite places! 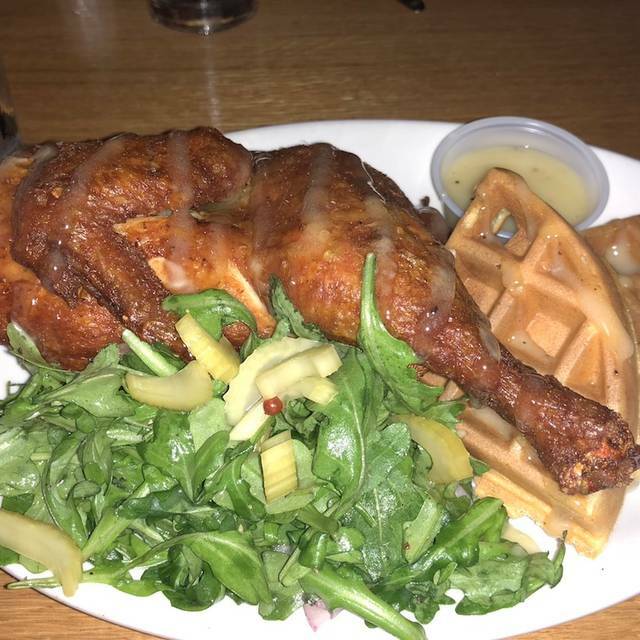 Overall, we enjoyed our experience at Union I had the Little Black Lie at our waiter’s suggestion. It was good, though I thought it was a bit weak. The beer selection was also good, many beers being local or from PA.
For dinner I had the monthly burger (8 oz. patty, dijonnaise, pickles, and bacon), which I had cooked medium. It was phenomenal! The truffle-oiled fries tasted good; however, they weren’t as crispy as I generally like. Desert was a bourbon/vanilla bread pudding which was maybe the highlight of the night, served with a scoop of butterscotch ice cream. 1. The service was slow. It is a good thing we were not in a hurry, because for a burger and desert, we were there for 2+ hours. I think our waiter just had too many tables, because he was otherwise very friendly and knowledgeable. 2. The room was LOUD. We sat in the dining area on the other side of the wall from the bar and because of the wood floors, everyone’s voice was amplified in the corner. I would definitely go back. I am told that they have a very good brunch, so I will be interested in checking it out in the future. The only negative comment that I have about this restaurant is that it was extremely loud. The food, service and atmosphere we all wonderful. 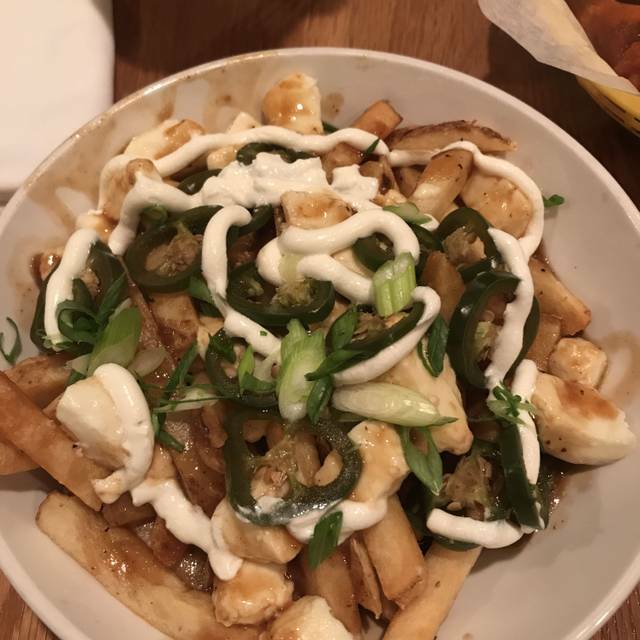 Definitely try the poutine! 40th birthday brunch. Amazing food. Great service. And love the mimosa happy hour! Amazing foods and friendly staff! I can’t wait to come back! Great service and food. Really enjoyed Kyle's music performance! The noise level rating is only up because the place was hoppin' and boppin' when I went (after all it was a Friday night). Always love it there. Love the staff, the owners, the FOOD (omnomnom) and the overall atmosphere. I try to get there as often as I can! Highly recommend this place! Two thumbs WAY up, 5 stars...a 10/10! One of my favorite places in the valley! Everything is great except the noise level is too loud. Great food and good service, but the noise level is extremely high. This could be easily and inexpensively remedied. We enjoyed the food and service but the noise level was too loud for us in the dining area. Service was exceptional, couldn't have asked for better!! Union and finch is consistently delicious for brunch! I’ve been there 3-4 times this year and haven’t been disappointed. I’ll keep coming back! I love Union! I thought the wings were meh compared to the rest of your selection. Won’t stop me from coming back and having a fan favorite though! 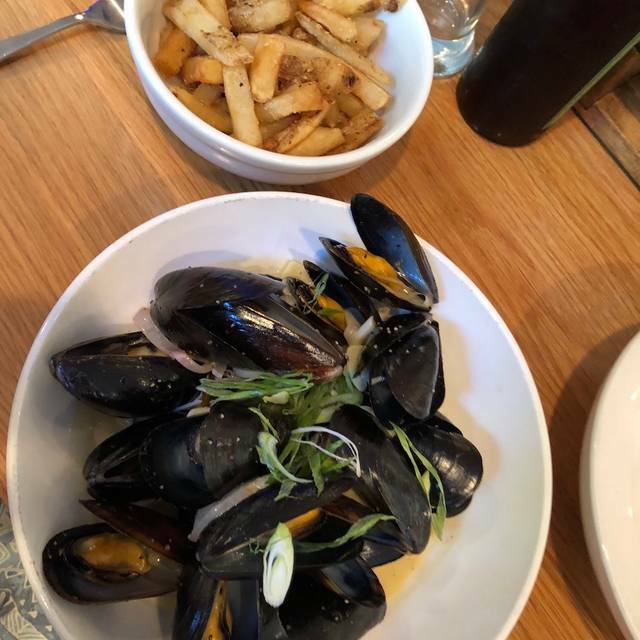 Great food...we went on a Tuesday night..bar table..it was quieter than the main room...love this place..we will be back..Great specials..the mussels and frites were excellent! We took our daughter to brunch. We sat at the high-top seating, which was fine but chilly when the door opened. Our server was very attentive and did her job well. Our daughter ordered the croque madame, which she enjoyed but said the bechamel sauce was too much and overpowering. My husband had the omelet which was good. I had the savory crepe and thought it were delicious. We will definitely return to try their lunch or dinner menu. Great local pub with a terrific specialty drink and draft beer list. The menu offers a great variety. Service was very attentive and the owner is hands on making sure things run smooth all evening. This is a hidden gem in the middle of Allentown. Creative menu , well executed. Out of the ordinary beer selection. Nice atmosphere, friendly fun place. I tried the Mahi-Mahi Friday night after starting with some wings. We just spent a week in Key West and you would think I'd had enough fish, but it was better than any fish entree I had in Florida. The wings were as usual great. Nice selection of reasonably priced beer. The wait staff recognizes us and it is a warm friendly experience. 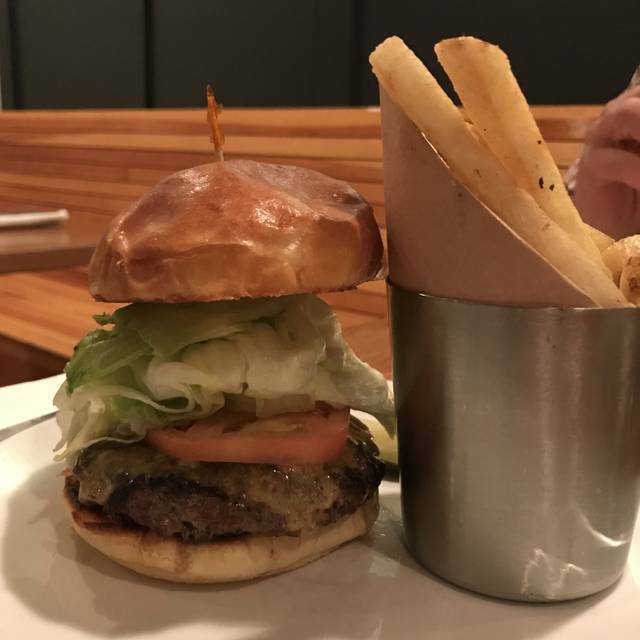 The burger is to die for! My wife had the rainbow trout and it was good on special! The beer flights are totally worth it for 10 bucks. It’s a cool space and everyone should check it out! Wow!!! I’m a bit of a food snob cuz I live in NYC and we’re spoiled with restaurants. This place is delicious!! Inventive original dishes. Everything we ordered was great! I love Union and Finch! My husband and I go there often and for my birthday dinner with my family I chose to go there! Always great food and love the envirnoment! We have been several times. Food is always fantastic, staff is very nice and very attentive. This was our first time at brunch, however, and it was AMAZING. So many choices, we will go back! Food amazing as always! Environmental beautiful and bright ! Love the window seat! Even though they forgot my order it was quickly rectified and my dish was comped. Great customer service and management. The bloodys were amazing as well! Food was good, not hot! Also $26 for the special was way TOO much! Great menu. Food was superb... Yummy in all the right areas. Amazing place. We loved the fact that it was locally sourced food and everything that came out was excellent. The beer selection was top notch and the service was good too. This will be our go to spot in Allentown. 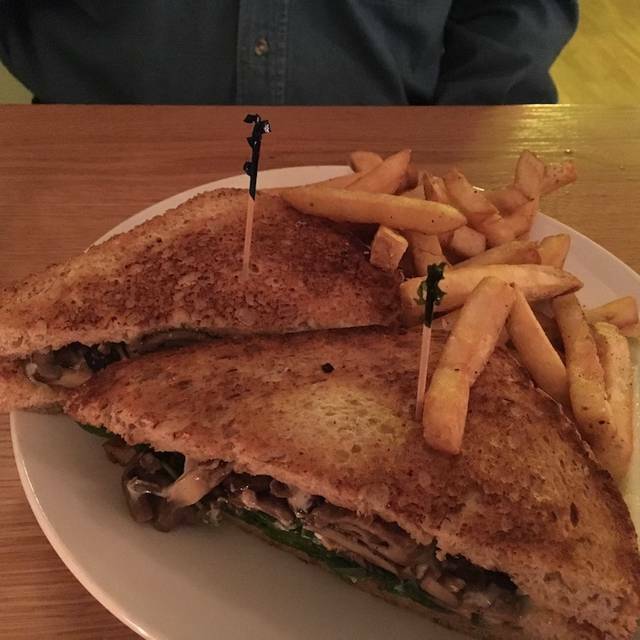 My friend invited me to this restaurant, and it was FANTASTIC! 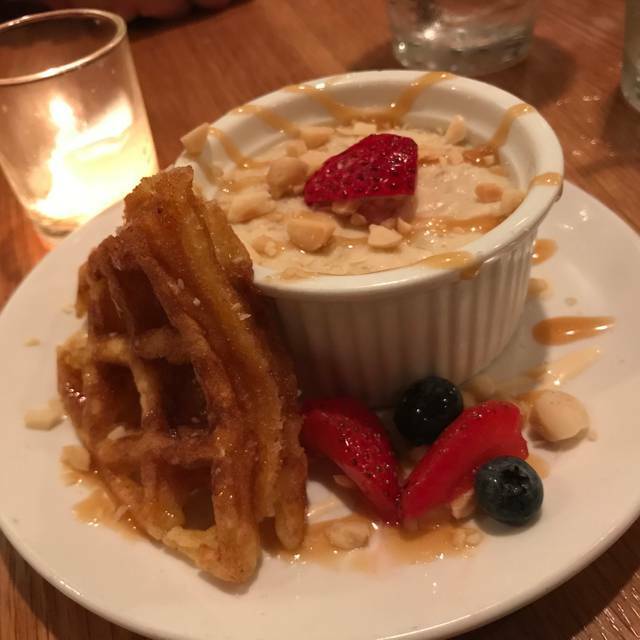 The waffles were incredible, and fresh. Our servers great and explained everything to us. Such a wonderful morning! Great Allentown spot! We love the food and the owners are always around to over see things. Very nice to have live music on Friday night! As always, fantastic food, service, and welcome! If there's any way to put baffles on the ceiling or walls to absorb some of the noise, it would be very helpful. 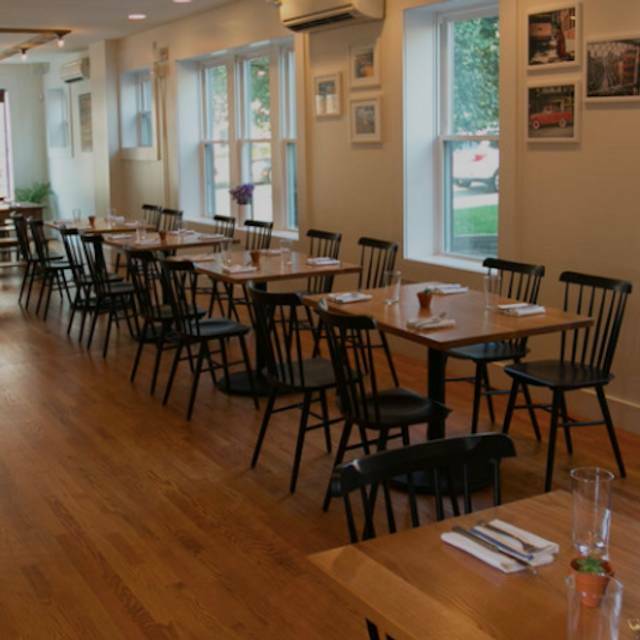 We were divided over whether the high-tops or the dining room are noisier, but we were all trying to find the place in the tavern where quiet conversation would be better accommodated. With that, U&F will simply be perfect!! Union and Finch was a very nice place for my date and I am glad I chose to go there. I got excellent service and the food was very good, although I did get a burnt wing. Otherwise I had an amazing experience and I very much enjoyed the restaurant. We were so happy to end our long drive at this warm, friendly and comfortable place with great service. 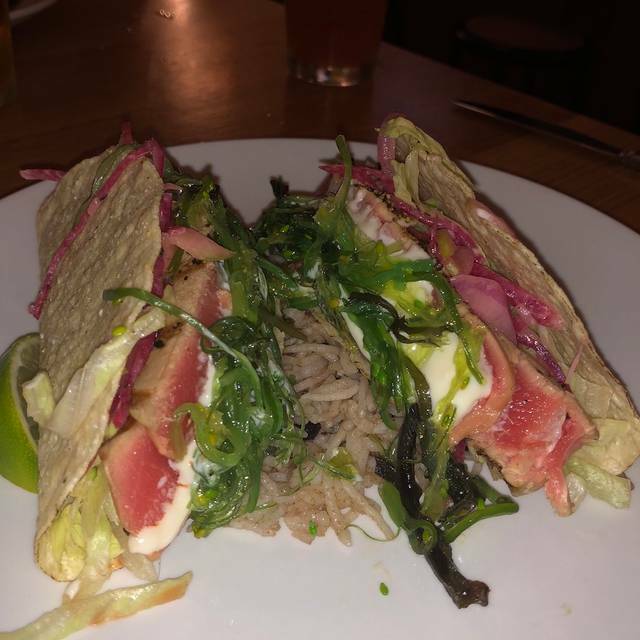 The guys enjoyed the wings, and I had the fish tacos which were a creative twist with sushi grade ahi tuna seared to perfection. Nice draft beer selection too. We will definitely stop in again when we're in town. Everything was even better than expected. Can't wait to go back. Definitely a new go to spot in Allentown.